02(0)/02 = ratio of oxygen mass at present to that at some prior time. Changes in the relative proportions fmar, fcb, frb of each type bring about changes in global rates of burial of organic C and pyrite S (the terms for redbeds are dropped because they contain negligible organic C and pyrite S). The term 02(0)/02 is added to include the inverse effect of 02 levels on the burial of pyrite (Berner and Raiswell, 1983). 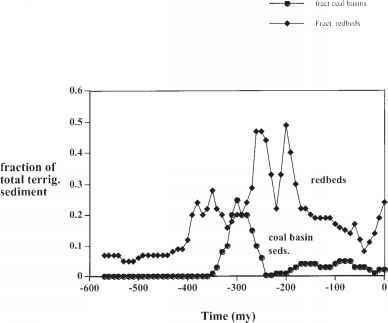 The fraction of terrigenous sediments as coal basin sediments and as redbeds is shown in figure 6.2 as a function of time. Because the average organic carbon content of coal basin sediments (mainly dispersed at subeconomic levels) are about 3-5 times higher than that for average marine terrigenous sediments and because redbeds contain essentially no organic carbon or pyrite sulfur, these plots are a qualitative measure of 02 production rate versus time. High proportions of coal basin sediments mean high 02 production, and high proportions of redbeds means low 02 production. Figure 6.2. Plots versus time of the fraction of terrigenous sediments (sandstones and shales) present as coal basin sediments and as other terrestrial deposits (mainly redbeds). Data from Ronov (1976). 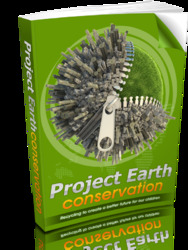 ings on present-day organic matter and pyrite weathering discussed in chapter 3. 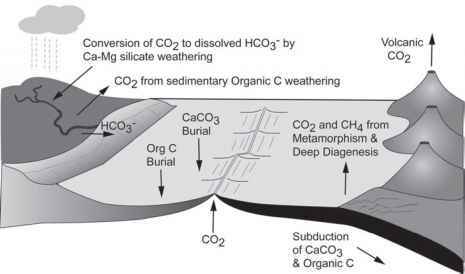 Because global erosion equals global sedimentation, this provides a strong negative feedback against variations in O2 due to variations in organic C burial accompanying variations in total global sedimentation. Also, to provide additional negative feedback against excessive O2 variation, Berner and Canfield introduced the concept of rapid recycling. In rapid recycling, the organic C and pyrite S in younger sediments are assumed to weather faster than in older ones that have become buried and sheltered from the atmosphere. As a simple first-order approach, sediments were divided into rapidly weathering "young" sediments with a mean age of 100 million years and all other slowly weathering "old" sediments with greater ages.